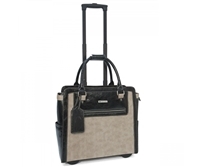 Now you can travel in style! 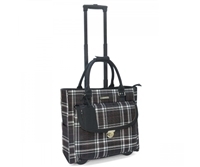 These trendy Roller-Briefs and laptop bags come in a variety of colors, prints, shapes and materials. 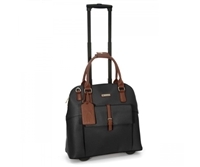 With practical features such as: Sturdy rollerblade wheels and retractable handles, padded laptop compartment, airplane carry-on size, lightweight for lifting and fashionable ID tag. 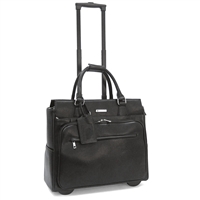 This airplane carry-on size executive rollerbrief, a faux leather beauty with silver hardware detailing and faux lizard skin pane. 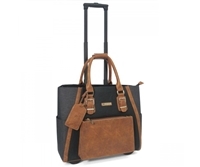 This airplane carry-on size executive rollerbrief, a faux pebble leather beauty with contrasting trim detailing, is fitted for the working, traveling woman. 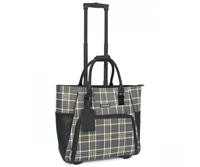 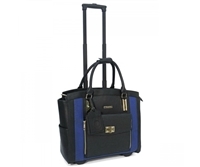 This airplane carry-on size Executive Rollerbrief, unique poly nylon beauty with front and side pockets, is fitted for the working, traveling woman. 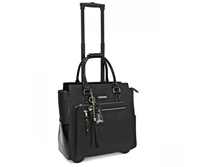 This airplane carry-on size executive rollerbrief, in faux leather detailing beauty, is fitted for the working, traveling woman who appreciates the smart and unconventional. 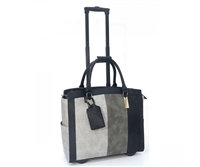 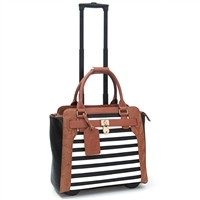 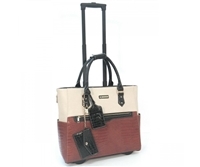 A valuable asset for the traveling woman looking for the perfect combination of style, quality, function and value.